- Let's sort things out, to begin with. First of all, what does Syria have as air defense assets? And what is the fundamental difference between the S-200 and the S-300? 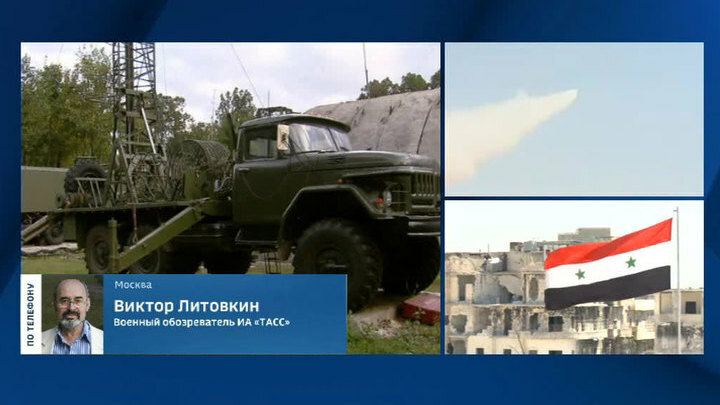 - Well, Syria has quite a developed air defense system — from the Pantsir-S1 to the S-200 complex, there are the S-125 complexes, the Buk-M2 complexes. And there are also other complexes, which accompany the ground troops. For example, the OSA-AKM and others. The fundamental difference is the S-300 is effective against any aircraft, from ballistic and cruise missiles to any planes, even those equipped with stealth technology. So-called "low observable aircraft". Moreover, it's capable of working against the aircraft, which are equipped with electronic warfare systems. - Mr. Litovkin, above the S-300, the command posts of Syrian air defense units will be supplied with automated control systems which are used only in our army. How will this affect the architecture of the Syrian defense? In general, how will this change the Syrian defense capabilities? - In simple words, the Syrian systems will get our Friend-or-Foe System. It means the Syrian air defense systems won't be able to fire at Russian planes at Russian aircraft. They will be able to identify our aircraft, and a missile just won't lift off, if it's launched in the direction of our aircraft. Even if it lifts off and flies towards our aircraft, it will deviate and explode aside. - Victor Nikolaevich, the final question — can the Russian suppression system suppress any foreign communication channels? In the areas adjacent to Syria over the waters of the Mediterranean Sea, the satellite navigation, airborne radars, and the like will be suppressed. What shall we do with the communication channels? - I don't think all communication channels can be suppressed. But many of them will be. I see. - Thank you, Victor Nikolaevich. Once again, we were talking to a TASS military analyst, Victor Litovkin.